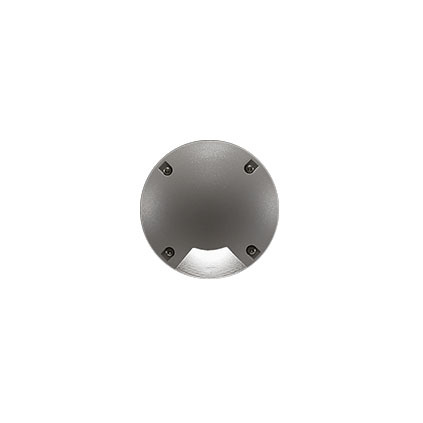 Recessed round LED luminaire with radial light emission for outdoor installation. Two sizes available. Transparent borosilicate glass and moulded silicone gaskets. Installation: the luminaire is equipped with a watertight M12 connector providing optimal insulation against water ingress and quick connection to the wiring unit (supplied with the luminaire as a remote IP67 Kit with electronic power supply). For ground installation it is important to provide a proper gravel layer or drain system (>300mm) to ensure good drainage and avoid water stagnation. Outdoor use requires suitable flexible cables assuring the watertightness of the cable gland. Kamino 24V is equipped with a dc/dc highly efficient resin-coated converter that removes electromagnetic interference and allows parallel wiring. Kamino is protected against polarity reversal and sudden voltage peak. Installation requires a dedicated box (to be ordered separately).